According to CNN, the snowfall total was more than four times the city's previous all-time Christmas record of 8.1 inches, and it also broke the record for most snowfall in one day in the city's history, which was 20 inches on November 22, 1956. 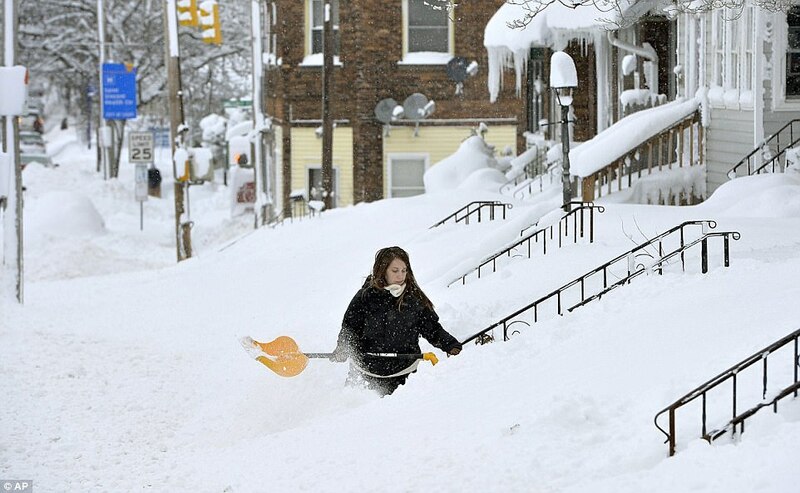 Erie picked up another 24.5 inches of snow on Tuesday, bringing the two-day tally to 58.5 inches. That is the highest two-day snowfall total in the entire state of Pennsylvania, according to the National Weather Service. However, the storm, which actually began on Sunday, has dropped a grand total of 62.9 inches of snow on Erie, according to National Weather Service Cleveland. Erie County Executive Kathy Dahlkemper signed a Declaration of Disaster Emergency Tuesday, which will allow for additional resources to assist with the winter storm that left parts of the region buried in more than 50 inches of snow. Erie County is expected to get additional help from the National Guard. The National Guard will assist in emergency situations such as helping ambulance companies get access to patients that may be stuck.